This traditional sofa features the beloved Chesterfield design with a button tufted backrest and rolled arms of the same height. 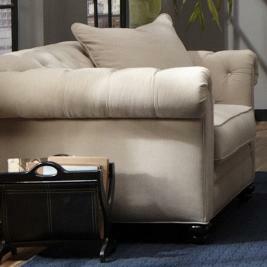 Three plush seat cushions ensure soft comfort with turned wood feet to complete the charming style. Pair with the matching chair for additional seating. 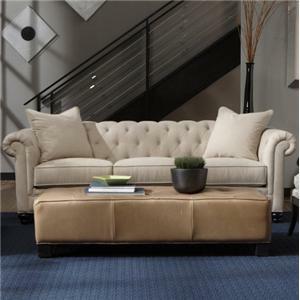 The Cambridge Traditional Button Tufted Rolled Arm Stationary Sofa by Jonathan Louis is available in the area from BigFurnitureWebsite. Seat Back Tight tufted backrest for support. Seat Three plush seat cushions for comfort.